Superjunior Fanfiction 2010 | All about fanfictions with Super Junior as the main characters! Now Anyone Can Publish Story on Sujuff! We’re here to inform all our beloved readers and freelance authors, that we don’t want you to wait anymore! As from right now, everyone can publish their own stories, right away without having to line up in our email. Everyone can join Sujuff’s team to be Author or just Freelance Authors. Join our blog of nearly 30,000 published story in here. You can now add yours, and get your own account to publish your perspective, share your narrative and stories. Become a good writer and help us make Sujuff’s a home. Send your email wordpress’s account or your wordpress username to sujuffwriters@gmail, with subject [NEW AUTHOR] so we can add you to our team right away! Having trouble creating WordPress’s Account? Don’t worry. Everyone who doesn’t have WordPress’s Account, still eligible to post their own stories on Sujuff. All you have to do is email us to sujuffwriters@gmail.com, for requesting the writer’s access to Sujuff. You just have to send your name or your author’s name [both was fine], with your Twitter username on email with subject [FREELANCE ACCESS]. And we’ll send you the access right away so you can publish or edit your stories everytime and everywhere on sujuff, without having to wait anymore! We're here to inform all our beloved readers and freelance authors, that we don't want you to wait anymore! As from right now, everyone can publish their own stories, right away without having to line up in our email. Once we receive your details, we will send you login details to Sujuff system where you can submit content and publish your own stories. We will try to respond your email/DM within 3 days of hearing from you. If you have any question or anything, you can simply put a comment below. And we’d be glad to help you! 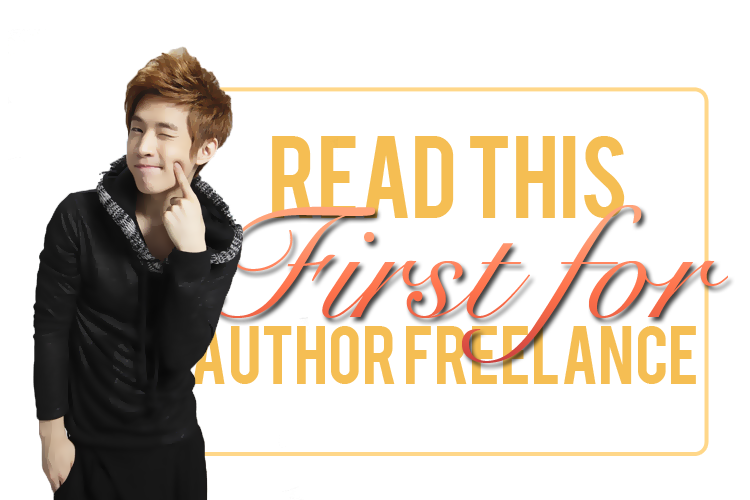 [NEW UPDATES] FOR AUTHOR FREELANCE! UNTUK SEMUA AUTHOR YANG AKAN MENGIRIMKAN FF KE SUJUFF, DILARANG KERAS UNTUK MENGIRIMKAN EMAIL DENGAN FF YANG SAMA SECARA BERULANG-ULANG, MOHON DI PERHATIKAN PERATURAN INI DAN DI HARAPKAN KERJASAMANYA. NEW PAGE: LIBRARY Of Favorite FF Series –> Library berisikan FF Series pilihan yang sudah tamat, dan onset special dari setiap FF writing contest yang diselenggarakan SUJUFF. Cek page nya disini–> LIBRARY OF FAVORITE FF SERIES! NEW PAGE: LIBRARY FF Of The Week! —> Di page ini terdapat link-link FF Of The Week dari tahun 2011 hingga sekarang, page ini bertujuan untuk mempermudah para readers yang ingin membaca ulang FF Of The Week favorite-nya satu per satu. Cek page nya disini–> LIBRARY FF Of The Week! Disclaimer: Casts are not mine, except OC(s). Story is mine, so plagiat and repost are forbidden. The story will only be published on Superjuniorff2010 and on my Wattpad: Hara_chan23. Except those, all are plagiators.